Workers' Compensation - Stephens Fiddes McGill and Associates, P.C. Have you been hurt at work? Workers’ compensation is a state-regulated system of benefits paid by self-insured employers; self-insured employers via third-party administrators; or independent insurance carriers providing coverage for the employer to workers who experience job-related injuries or diseases. Unfortunately, many workers still have to fight to be compensated for their injuries. Luckily, you always have the right to be represented by a lawyer in a Workers’ Compensation Case. Meeting with a Stephens Fiddes McGill and Associates, P.C. lawyer can help you understand your options. 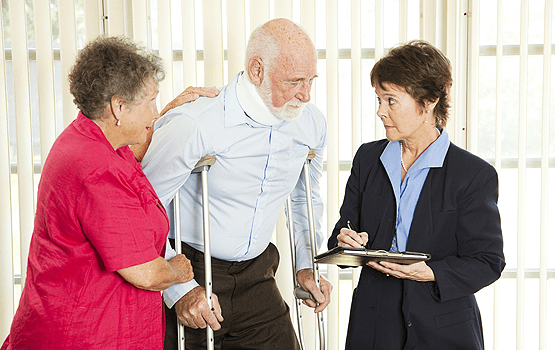 We are experienced Workers’ Compensation lawyers who serve Peoria, Pekin and East Peoria. 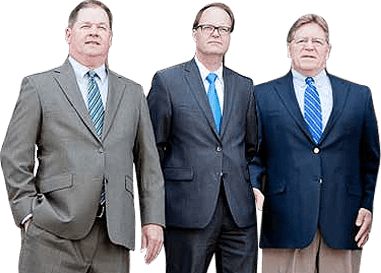 Our attorneys bring more than 100 years of combined experience to your case. We have been voted one of the top three law firms in Central Illinois five different years. Our knowledge in the practice of Workers’ Compensation Law will help us counsel you as to the relative strengths of your case. A Stephens Fiddes McGill and Associates, P.C. attorney can advocate on your behalf. We can negotiate with your employer and their Insurance Representatives. If any aspect of your Workers’ Compensation case is in dispute, we can make sure that the outcome of your case is fair to you. You feel more comfortable having a professional represent your interests. You don’t understand the workers’ compensation process or what your company’s insurance representative is saying to you. Your injuries are moderate to severe and may require surgery. You will never be able to work again. You think you can work but not at your current job or in the career or trade you trained for. Your doctor feels your health may not return to its preinjury levels. You would like to dispute a negative determination. We will consider your case with great care and treat your concerns with the greatest respect. If you select Stephens Fiddes McGill and Associates, P.C. as your legal representative, we will do our utmost to fight for the best outcome possible on your behalf. Workers’ Compensation cases are heard in an administrative process operated by the Illinois Workers’ Compensation Commission. No matter where you live in Central Illinois — Pekin, East Peoria or Peoria — our Workers’ Compensation attorneys spend time in those venues, and are familiar with the attorneys who represent respondents and the arbitrators who hear Workers’ Compensation cases. At Stephens Fiddes McGill and Associates, P.C. Every Client is Valued. Your questions will all be answered. You will benefit from our years of trial experience to obtain the results you deserve. Keep in mind that filing a claim doesn’t necessarily mean going to hearing. Your case could still be settled in an agreement between you and the respondent, whether that is an employer, an insurance company or an individual. We’re members of the State Bar Association and the American Bar Association. We’re licensed, registered, insured, bonded and accredited. For effective litigation by experienced professionals, contact Stephens Fiddes McGill and Associates, P.C.